HELP US GROW - BECOME A FAIRFAX VEG FEST SPONSOR! The Fairfax Veg Fest would not be possible without the awesome support we receive both from the community and our sponsors. Sponsoring the Fairfax Veg Fest is a great way to promote your business, group, or product to thousands of people and show that your organization is a supporter of an ethical, environmentally-friendly, healthy way of living. Each sponsor level includes a combination of benefits appropriate for each level, and may include perks such as booth space at the fest, logo on t-shirts and promotional materials, social media mentions, and more. 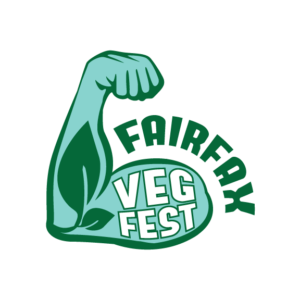 TWO :: CLICK HERE to fill out the Fairfax Veg Fest Sponsor Application online. If your application is accepted, you will receive an email notification from Fairfax Veg Fest. Deadline to be included on t-shirts is March 1, 2019.